The driver of a van that hit two vehicles and killed a woman in downtown Spokane on Monday has been charged with vehicular homicide, The Spokesman-Review reports. The woman, described by witnesses to be in her mid- to-late 50s, was using a walker while crossing the street when a gold-colored van exiting the highway failed to stop. The van collided with a blue SUV and a white Subaru sedan that were stopped at the stoplight before hitting the pedestrian. She was dragged under the vehicle, and attempts by bystanders to pull her out were unsuccessful. Spokane police arrested the driver of the van, 62-year-old Michael Lucey. There is no official word on the crash. No other injuries from the accident were reported. The driver of the white Subaru sedan fled the scene of the accident, and police ask that anyone with information on his whereabouts, or who witnessed the crash and has not yet talked to police, to call Crime Check at (509) 456-2233. In 2016, there were 89 fatal pedestrian accidents in Washington State. 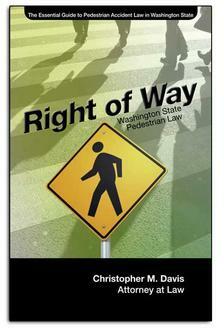 Each year in Washington State, pedestrian fatalities account for 12 to 14 percent of all fatal motor vehicle accidents. 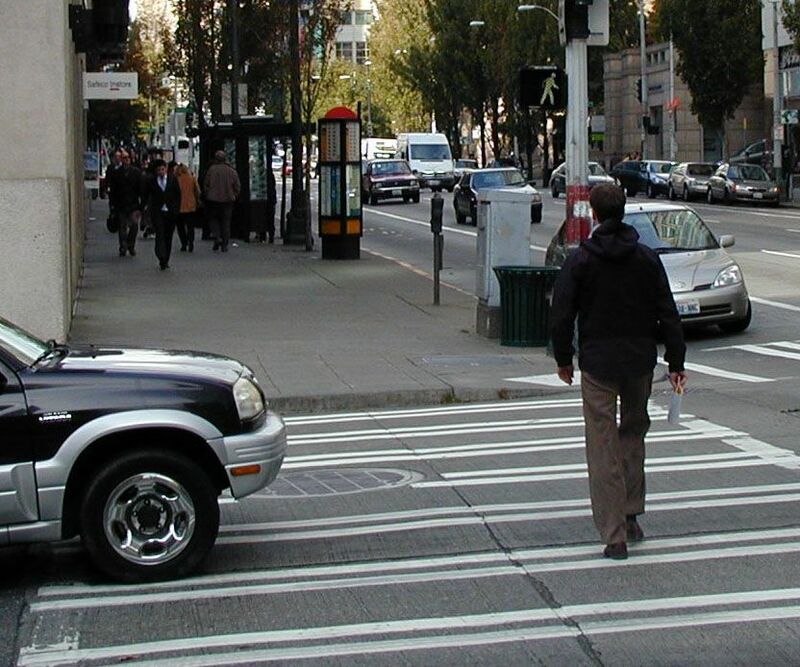 In Washington State, 60 percent of pedestrian accidents are located on city streets, where people are expected to travel on foot. Pedestrian deaths nationwide are climbing faster than motorist fatalities. In 2016, nearly 6,000 pedestrians died in accidents, the highest total in more than two decades, according to a study by the Governors Highway Safety Association. In Spokane, a city of about 215,000 people, statistics show that about three to five pedestrians are involved in fatal accidents each year. Compare that to Seattle, which can see pedestrian fatalities reach double digits in some years. Establishing the facts after a pedestrian accident, in both criminal and civil investigations, is a difficult but important part of the process. If the pedestrian was crossing the street in a crosswalk when they were struck, like in the accident above, it would be unlikely that they would have any responsibility for the collision. The driver may not always be held criminally responsible for an accident. An investigator can look at the following factors: whether the driver and/or the pedestrian was distracted, intoxicated, or asleep, whether the driver responsibly could have seen the pedestrian, whether any witnesses in the area can give more insight into the accident, and whether any traffic or security cameras recorded the accident. The results of the police investigation will help the victim’s family determine if there are grounds for a wrongful death claim against the at-fault driver and his insurance company. Consulting with an attorney with a strong track record in handling pedestrian accidents is often in the victim’s best interest, particularly in cases where damages are severe. Hiring a lawyer does not mean that a lawsuit will be filed, as typically attorneys are able to negotiate settlements for their clients before the case goes to court. At Davis Law Group, P.S., we will review your case free of charge, with no obligation to hire us. Use the form on this page or call (206) 727-4000 to get started.